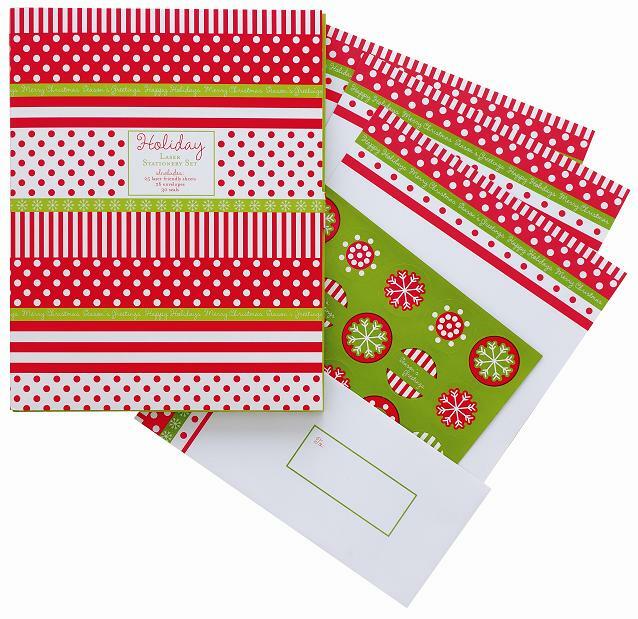 Fun Christmas letter-writing kit gives you a collection of matching accessories to make communicating a breeze! Includes 25 laser-printer friedly letter sheets (8.5x11"), 26 coordinating envelopes and 30 matching seals. 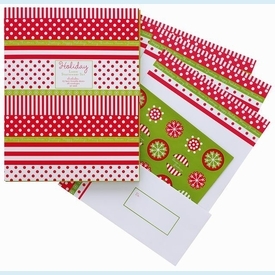 Coordinates with several gift wrap items and holiday organizers. CLOSEOUT...only 2 sets left!